"We at UC highly value Lick Observatory's unique capabilities," said Claire Max, professor of astronomy and astrophysics at UC Santa Cruz and interim director of the University of California Observatories (UCO). Headquartered at UC Santa Cruz, UCO operates Lick and manages UC's share of the twin 10-meter W. M. Keck Telescopes in Hawaii and the planned Thirty Meter Telescope, which broke ground last year close to Keck on Mauna Kea. "Lick's telescopes enable science projects that need lots of repeated observations during the course of a year or more; these can be done much more successfully at Lick than at the 8-10-meter telescopes, where observing time is extremely tight," Max said. "Google's very generous gift will make it possible for Lick to provide these opportunities and to continue to develop forefront tools such as adaptive optics, which removes image blurring caused by turbulence in Earth's atmosphere." "This is very exciting," said UC Berkeley astronomy professor Alex Filippenko, who has been beating the bushes for funds to operate the observatory after UC support dropped as a result of the recent recession. "Astronomy is the 'gateway science' – kids are enthralled by cosmic discoveries, spectacular images, and far-out concepts, which can inspire them to pursue technical fields such as applied physics, engineering and computer science. So there's a real opportunity to make a difference, through the research, education and public outreach we do at Lick Observatory." Lick Observatory, located atop Mt. Hamilton east of San Jose, was established in 1888 and currently houses seven telescopes, including the Katzman Automatic Imaging Telescope that scans the sky each night in search of exploding stars (supernovae), which help astronomers understand the accelerating expansion of the universe and dark energy. Another robotic telescope, the Automated Planet Finder, closely examines many stars each night to find planets that may be orbiting them. Faculty, researchers, postdoctoral scholars, and students throughout the UC system can observe remotely on the main general-use telescopes, the three-meter Shane telescope, and the one-meter Nickel telescope. "These telescopes provide undergraduates with a unique opportunity to participate in substantial astronomical research," Filippenko said. "I have about a dozen undergraduate students doing Lick research now, many more than ever before." Before the recession, Lick's budget was about $2.5 million annually to support astronomers and students from eight of the 10 UC campuses as well as the UC-managed Department of Energy labs. Most of the first 100 planets orbiting other stars were discovered at Lick using a forefront instrument designed by UC Santa Cruz astronomer Steven Vogt that was the best of its kind at the time. Lick observations also helped reveal the presence of giant black holes in the centers of galaxies. In part thanks to large numbers of relatively nearby supernovae found or studied at Lick, astronomers discovered and verified the accelerating expansion of the universe, a feat recognized with the 2011 Nobel Prize in Physics to the leaders of two competing teams and the 2015 Breakthrough Prize in Fundamental Physics to all team members. "I was delighted to learn of this wonderful gift from Google," said Aimée Dorr, UC provost and executive vice president for academic affairs. "It will do great things for the astronomical research and education that can be carried out at Lick Observatory. Congratulations to Professor Filippenko, who knows firsthand how valuable Lick is and has dedicated his considerable energy and expertise to ensuring it is available far into the future. "I'm pleased that this generous award will help Lick Observatory keep its doors open to the public, to future astronomers and to the scientific community in a capacity that is simply unavailable anywhere else," said U.S. Rep. Zoe Lofgren, who previously spearheaded two letters of congressional support for Lick to the UC Office of the President. "Lick is an historic Santa Clara County landmark, and the facility has proven invaluable for students, researchers, and the Bay Area community. I hope this is the beginning of many gifts recognizing Lick Observatory's important role in inspiring future scientists and adding to our understanding of what lies beyond our solar system." U.S. Rep. Mike Honda, a longtime supporter and advocate for the observatory, added, "I am delighted that Google has decided to give $1 million to Lick Observatory. 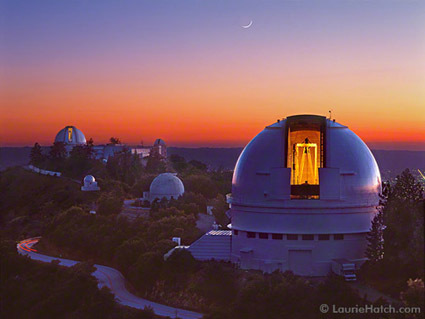 For 127 years, Lick Observatory has been vital in fundamental astronomical research, the development of new observational techniques, training students, and connecting the general public to the heavens. I am pleased to see private companies step up and invest in America's scientific leadership. I look forward to others joining Google to ensure that Lick Observatory will continue to explore the universe for years to come." One of the first uses for the money, which comes through the UC Berkeley Foundation, will be to hire another telescope operator for the Shane three-meter telescope to eliminate periodic closures caused by the current shortage of staff. 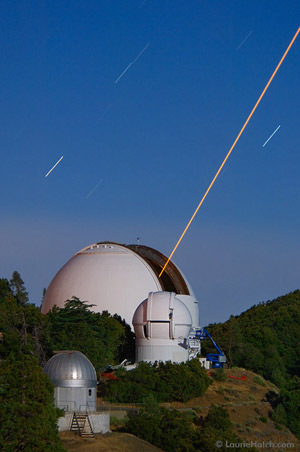 Max said that another probable use of the funds will be to continue the development of laser guide star adaptive optics, which is breaking new ground at Lick Observatory.